Yahoo was upgraded on Monday, June 30, 2014 by PiperJaffray to overweight based on the current share price undervaluing its interest in Alibaba. In addition, Yahoo continues to look for ways to turn around its core business through innovation, acquisitions, and other changes. Marissa Mayer has led Yahoo for over a year now and has had some impacts on the business, but it is still not clear if the company has turned the corner. However, the company is at least heading in a more positive direction and with its stake in Alibaba, the risk reward looks attractive at current levels. An IPO is getting closer for Alibaba which will provide a valuation for it likely above what is reflected in Yahoo’s current share price. An IPO would likely act as a positive catalyst for the shares of Yahoo. Yahoo has minority interests in a few other firms. It has a 35% stake in Yahoo Japan and a 21.5% ownership in Alibaba. Through the latter it has an interest in Taobao and Alipay, both private, along with Alibaba.com which is publicly traded. Some analysts value the sum of the parts of Yahoo at a higher level than the current share price. There are frequently cases where analysts make this argument, often in cases where the company has minority interests in private companies or two or more different business segments would carry very different multiples. For example, a few weeks ago we looked at Timken’s spinoff of its steel business. The specialty steel business would have a different multiple than its other business when compared to similar specialty steel firms. However, the EV/EBITDA multiple at Timken did not reflect the weighted average of the multiples of publicly traded comps for each segment. It undervalued the total business by applying too low a multiple which is one reason management decide to unlock this value by spinning off the steel segment. The issue of with sum of the parts analysis, is that there is often no clear catalyst or event that will unlock the value and push investors to pay a higher multiple. The IPO of Alibaba is an event that can unlock this value. It will put a value on this portion of the business. In addition, the liquidity discount, or discount applied to a privately versus publicly traded firm, will disappear at the same time. In the note from PiperJaffray, they argue that Alibaba’s publicly traded comps are eCommerce companies like Amazon and Chinese firms like Baidu and Tencent. This group trades at an average of 28x CY15E EBITDA. Based on 40% sales growth in FY15 and a 50% EBITDA margin, below the 59% in FY14, the company would have EBITDA of $7.7 billion. That translates to an enterprise value of $221 billion including its cash position. Yahoo’s stake in Yahoo Japan is worth $5.7 billion and it has $3.5 billion in cash. The stake in Alibaba discounted by 35-45% from the above valuation still yields a value of $26-$31 billion. The discount is applied based on the multiples of some recent IPOs in China in related businesses. Using the low end of the valuation for Alibaba results in a $34 share price ($35 billion/shares outstanding) for Yahoo before even valuing its core business. The core business is likely worth another $6 billion – $7.5 billion based on different analysts’ forecasts which adds another $5 – $7 to the share price for a value of $39 – $42. Again, this uses a relatively conservative value for Alibaba, which accounts for a majority of shareholders value. A more aggressive but a value still within reason results in a $50+ share price. It is noteworthy that management at Yahoo has stated it would sell a portion of its stake in Alibaba when it goes public. This would be around 40% of its stake based on a press release. Yahoo’s Alibaba ownership is a key point for any investor since it accounts for around 75% of the share price. That said, Yahoo still has its core business and can continue to improve it, providing additional upside for shareholders. However, it still has work to do in this area and provide mobile products for its user based. Sites like Yahoo Finance and Yahoo Sports are still largely used on the desktop, management can improve this. Management can improve this and slow or stop its market share loss to Facebook and social networks in online advertising dollars. That is the topic for another note. At the current share price, Yahoo shareholders are essentially getting its core business for free based on the above sum of the parts valuation. Since there is a path to unlock this value for owners of Yahoo though an IPO of Alibaba, there is an attractive risk/reward in Yahoo’s stock. Do you own any Yahoo stock? Plan to buy now? 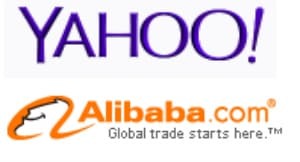 Any thoughts on investing in Yahoo now vs waiting until the IPO to buy actual Alibaba shares?